The A.V. Club’s Internet-spoofing sister site, ClickHole, has posted a new video that deftly recaps the fourth season finale of Spaderville, a fiendishly twisty and inconveniently imaginary cable melodrama supposedly created by Mad Men’s Matthew Weiner in which all the main roles are played by the ever-engrossing James Spader. Since there are no actual episodes from which to draw, the highlight reel is edited together from clips borrowed from Mr. Spader’s three-decade career in television and film, encompassing everything from Pretty In Pink to The Blacklist. After warning viewers about spoilers, the narrator describes the previous night’s installment as “absolutely one of the most intense in the history of Spaderville.” Apparently, all is not well at Spaderville Manor. Someone has murdered beloved family pet Gordon the Cockroach, who appears courtesy of a clip from Secretary. Who is to blame for this heinous act of insecticide? 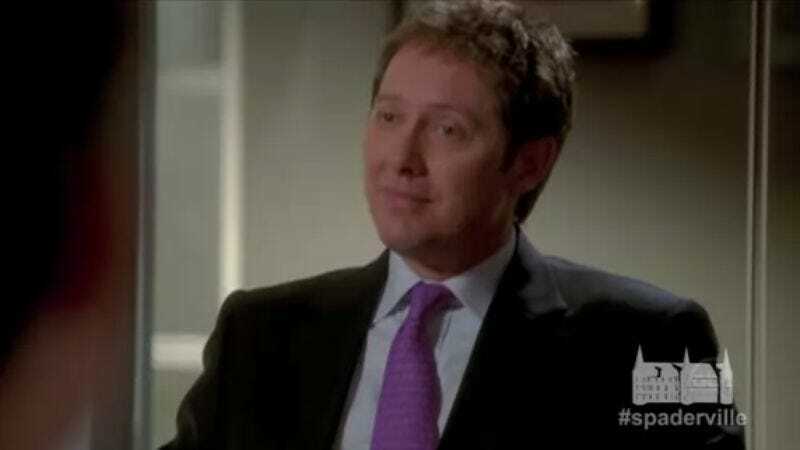 Thomas Spader? Grandfather Arnold Spader? Patriarch William Spader? Or could it be Hollywood actor James Spader, who appears as himself, cross-promoting his role in the Avengers sequel? Also glimpsed briefly in the Spaderville summary are notables like Jimmy Fallon, Maggie Gyllenhaal, and the Reverend Al Sharpton, who shows up to demand “an African-American Spider-Man” in a crucial courtroom speech.